Lung cancer is one of the most commonly reported cancers, and is known to be associated with a poor prognosis. The function of tumour-associated macrophages (TAMs) in lung cancer patients is multifaceted and the literature shows conflicting roles. 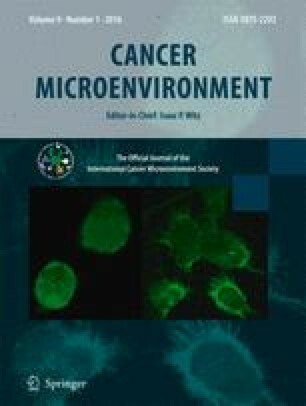 (I) To analyze the Th1 and Th2 cytokine levels that contribute to the differentiation of M1 and M2 macrophage populations in the serum of patients with NSCLC versus non-cancer controls; and (II) To characterize the M1 and M2 macrophage populations within TAMs in different subtypes of NSCLC compared to non-tumour tissue. The Th1 and Th2 cytokine levels were analyzed in serum using the Bio-Plex assay. In addition, TAMs subsets from non-tumour and tumour tissues were analyzed using immunohistochemistry (IHC). The level of IL-1β, IL-4, IL-6 and IL-8 was found to be increased in the serum of patients with large cell carcinoma but not in other NSCLC subtypes compared to non-cancer controls. In addition, the expression of CD68 and M2 marker CD163 was found to be increased (P ≤ 0.0001) in all NSCLC subtypes compared to non-tumour tissues. In contrast, the expression of iNOS (M1 marker) was decreased in the tumour tissue of patients with adenocarcinoma (P ≤ 0.01) and squamous carcinoma (P ≤ 0.05) but not in large cell carcinoma compared to non-tumour tissue. The results of this study indicate that NSCLC might have the ability to alter phenotype within the lung tumour areas in the local environment (TAMs) but not in the bloodstream in the systemic environment (serum) except for large cell carcinoma. This work was supported by the Institute for Breathing and Sleep project Grant and the School of Medical Sciences, RMIT University Grant Scheme. Human Ethics approval was received from RMIT University Human Research Ethics Committee ASEHAPP 15-13 and the informed consent of all participants was obtained.